Jack Antonoff's Bleachers project has a new record called Gone Now due out next month, and he's already enlisted pop starlets like Lorde and Carly Rae Jepsen for singles off the upcoming album. Now, leading Girls lady (and IRL girlfriend) Lena Dunham has lent her creative talents to Antonoff's work. 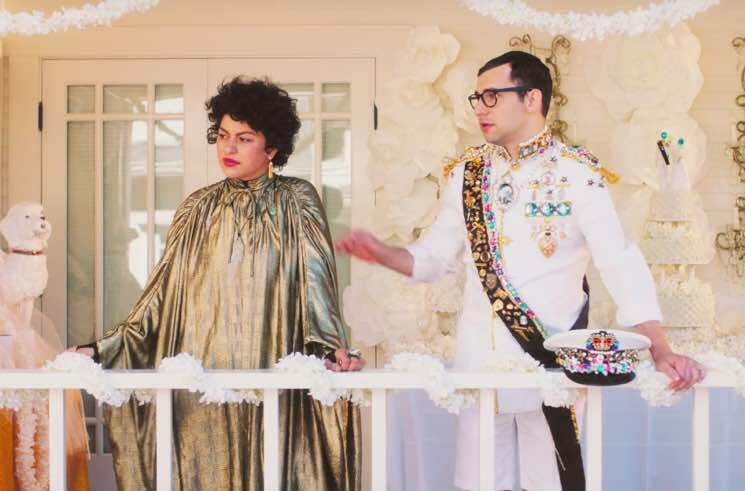 Dunham directed the new video for the aforementioned Lorde collaboration, "Don't Take the Money," and it features another familiar Hollywood face — Alia Shawkat. She plays a skeptical marriage officiant, presiding over Antonoff's wedding. The colourful ceremony ends up delivering more violence than romance (at least for the groom), and you can watch the whole dramatic scene unfold in the clip below. Gone Now is due out June 2 via RCA.